The design of the mixed-use buildings is organized around an open court that blends seamlessly with the entry lobbies. 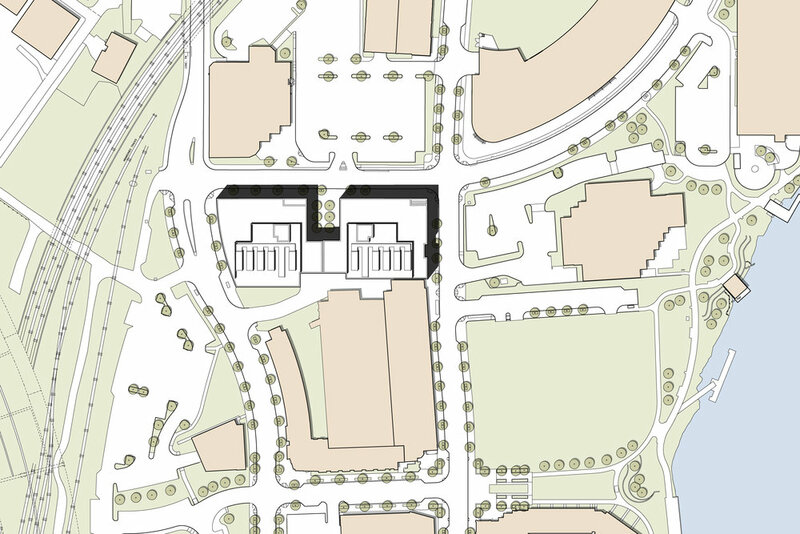 These two speculative office buildings are integral components of a master plan developed by The Buccini Pollin group. The design of the mixed-use buildings is organized around an open court that blends seamlessly with the entry lobbies. While the rest of the development will consist of brick-clad retail and residential buildings, the office structures feature bold compositions of zinc and glass curtain wall assemblies that take scale clues from the neighboring buildings. In addition to horizontal zinc interlocking panels and glass, the exterior material palette includes wood and natural stone at the base. The infusion of natural light in the work environment is the basis for the organization of the plan attributes. 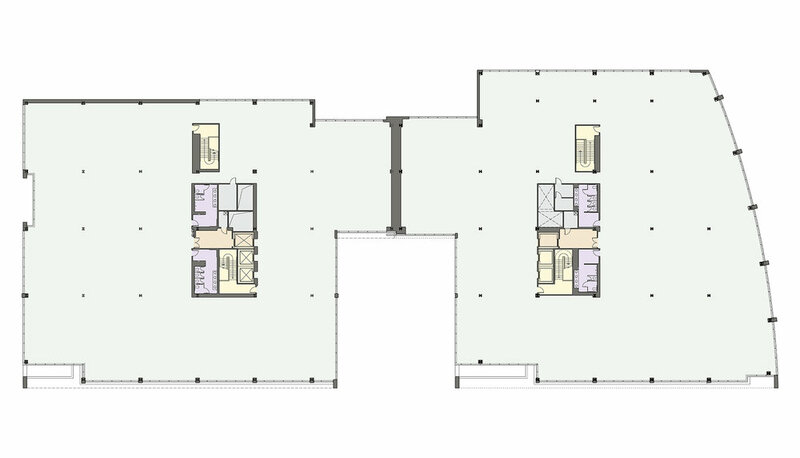 The distance from the perimeter window area to the central core never exceeds 45’, and the floor plans are efficient with a loss factor of less than 5%.